At the time I understood what he was trying to convey. A writer’s imagination gone wild and based solely on the distaste of 70’s pop-rock music. I like all kinds of music, but there are some artists (who will remain nameless) that I absolutely despise. I despise them because of their music, message and overall presence portrayed by the media. Fleetwood Mac was one of them, the music never spoke to me the way other ‘classics’ did. Last week I stumbled across something that depicted Stevie Nicks as a home-wrecker and I started reading into it. I forgot all about it until tonight when I turned on the Pandora to listen while I wrote a post about something else. I had listened to Best Coast and when I logged on I heard Bethany Cosentino singing Rhiannon by Fleetwood Mac and it reignited my curiosity. 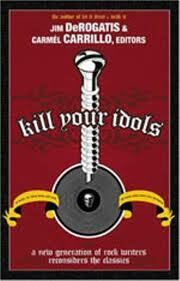 I listened to the entire Rumors Album while re-reading that chapter in Kill Your Idols. I don’t condone cheating in the slightest but as I watched this video of Fleetwood Mac from 1976, right before Mick Fleetwood wrote in his biography about the affair between he and Ms. Nicks, I could understand the appeal. He looks so thoroughly entranced with the music he is making. His facial expressions are incongruent with the music in a way that makes you feel his passion. We all know there is nothing more appealing than watching someone out of their mind while indulged in their passion. It’s the reason we appreciate all forms of art. You can’t truly produce effective viewing material unless you disconnect entirely from everything that is normal. I’m sure Stevie was attracted to many things that I am unaware of, this is only one lady’s interpretation. Seriously though, check it out. Maybe I just pay more attention to drummers. 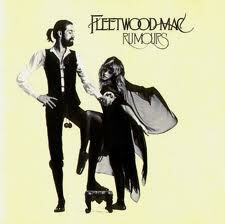 I can’t say that I like Fleetwood Mac, but I’m currently plagued by their music and their story. As an aspiring musician you must study history, otherwise you’re doomed to repeat it. 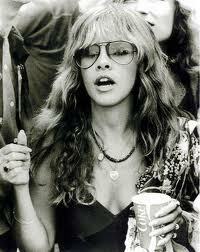 I have the same fascination with Stevie Nicks! lol..plus, I do love some great Fleetwood Mac almost anytime! I’m borrowing it on vinyl so I can get the true experience hah!